Blend the pomegranate. 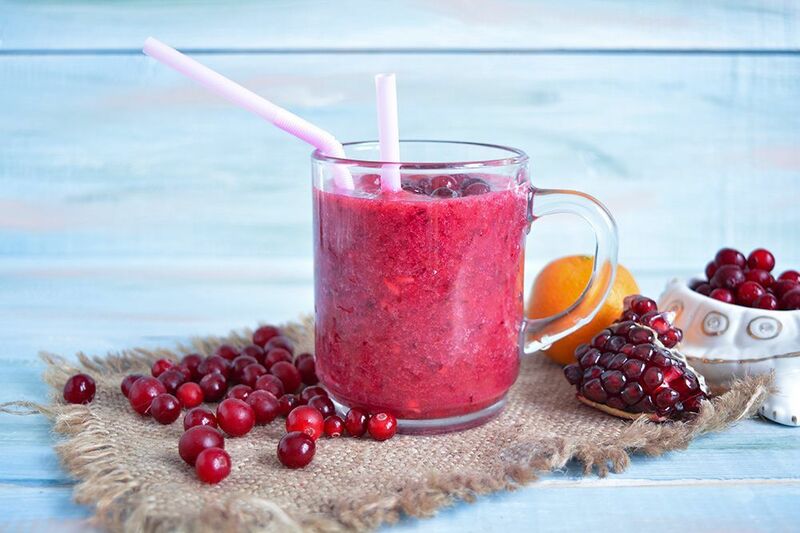 If you don't want any hard pomegranate pieces in your smoothie, you might need to blend for more than three minutes. Personally, I don't mind getting one or two bigger chunks of a pomegranate seed in my smoothie, so I don't usually blend for more than two minutes. Now it's time to prepare the remaining ingredients. Peel and clean the tangerines, then place them in the blender together with the cranberries (but leave some cranberries for decoration). Blend until smooth. Now your smoothie is ready to be poured into a glass or jar. Decorate with cranberry and pomegranate seeds. Enjoy your smoothie!